Have you usually receive some complaints from your consumer, is heavy and big volume to take many different sizes of lunch boxes when outside for a picnic, or need to keep many different kinds of food, the food storage container usually take much space of their refrigerator. 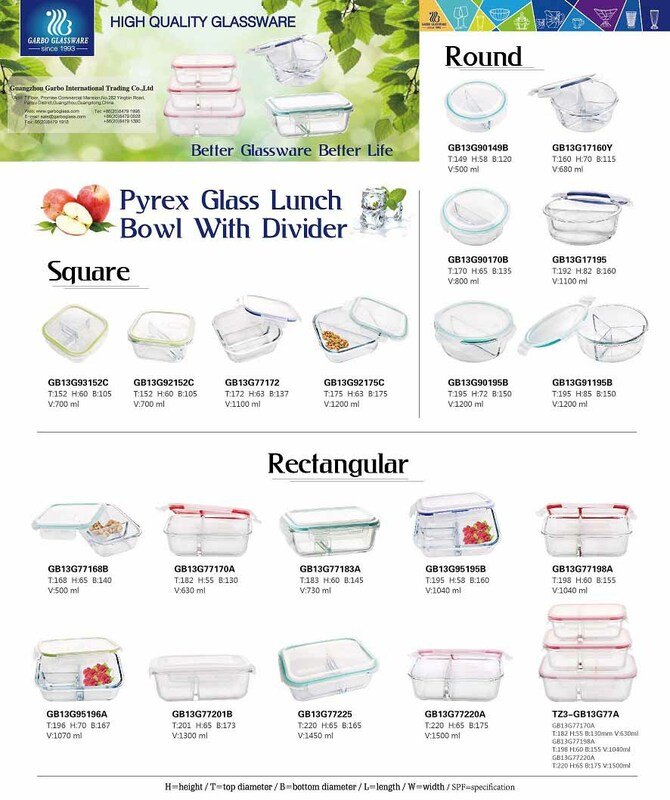 1) these food containers are made of high borosilicate material,it container at least 13% Boron, which will change the glass into heat resistant ( at least 500 degrees fahreheit), they are microwave, oven (without lid) safe, freezer safe, dishwasher safe, thermal shockproof, these features can easy for consumer to use from refrigerator ,oven to their table used. 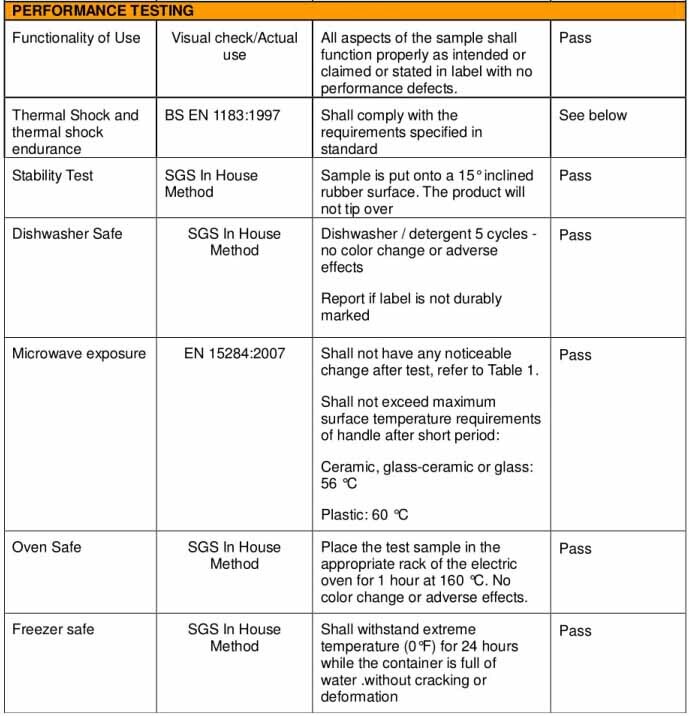 if you need these test certification, please feel free to contact us . 2) Different divides style for choosing. 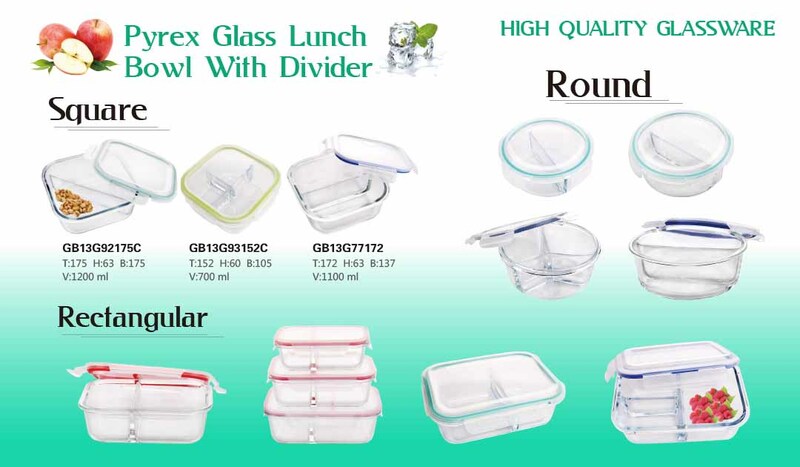 There are different shapes of these lunch box, round, square and rectangular shape, and each shape has different sizes, between each shape or size, you can have a different divide inside, two divides or three divides is very easy to produce in our factory, we just need to change the mold of divides. these storage food container are suitable for kids& aduts using at school and office for breakfast,snacks,lunch and dinner , with these food box,they can easy bring one food container with more than 2 kinds of food. You make ask for the minimum order quantity, please don't worried about this, for these food storage boxes ,we usually have stock in our warehouse ,you just need to tell us your need quantity, and customized the color box ,so it will be the best option for use as daily use products and promotional items. If you need more information, please don't hesitate to send us your inquiry, thanks!